If you are moving to Manchester for the first time to study, halls can be a great way of experiencing uni life, meeting new people and getting to know the City Student Halls can also be a great way of focusing on your studies, whilst being close to the fun and amenities! With all the bills usually included in the rent, it can be an ideal solution for those wishing to carefully plan their budget. So as an alternative to a traditional student house, or a self-contained apartment, a room in private student halls is well worth considering! Luxury, purpose built, private student halls located close to the city centre. The development provides share accommodation, with ALL BILLS INCLUDED and is available for groups, or on an individual basis. 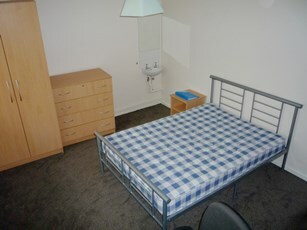 Exclusive halls, situated within walking distance of the university and consists of only ten double bedrooms each. The property is set in communal gardens and off road parking is available. ALL BILLS INCLUDED. If you are looking to sell your tenanted property or portfolio, we have quality investors looking for new opportunities. If you wish to discuss your options complete our online form or contact investment@homes4u.co.uk for information on our services.